Have you been told by your dental professional about the importance of flossing? Along with brushing, flossing is one of the best ways to keep your teeth and gums healthy. Some people have a difficult time sticking with a flossing habit, but without it, they might be missing some of the plaque that can lead to cavities and gum disease. Follow these do’s and don’ts to protect your gums and keep your smile healthy and bright. DO use plenty of floss to clean between all of your teeth. Be generous with your piece, using at least 18 inches, in order to have a clean section for each tooth. DON’T reuse your piece of floss. Floss that has been used should be thrown away because it may have bacteria that can increase your risk of infection. DO wrap floss around your index or middle finger of each hand, leaving about an inch exposed between your hands. Use your other fingers to help guide the floss between each tooth juncture. DON’T be too rough on your gums. Gums are soft tissue, and if you apply too much pressure, you could irritate them. DO floss at least once a day, or two if you are really dedicated. It is okay to floss in the morning or evening as long as you remember to do it habitually. DON’T fret if you see blood when you floss. Any particles below the gum line can cause inflammation. The pressure of the floss can be all it takes to see blood, but over time it should resolve. DO it right! You should wrap the floss in a C shape around each tooth, under the gum line. Keep the floss taut against the tooth to loosen any food particles or plaque. DON’T worry about asking for help. 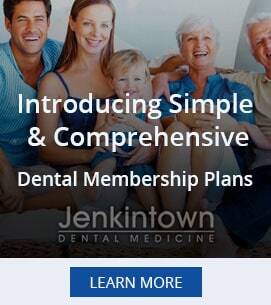 Your dentist is happy to show you proper flossing technique that you can practice at home. 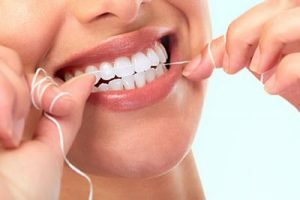 Once you get used to flossing every day, you can enjoy cleaner teeth and easier dental check-ups. When you make oral hygiene a habit, you are doing your part to take care of your oral hygiene and protect your smile.